There’s so much love to be given to coconut oil. Here’s a head to toe guide on how to use the oil in your beauty routine. 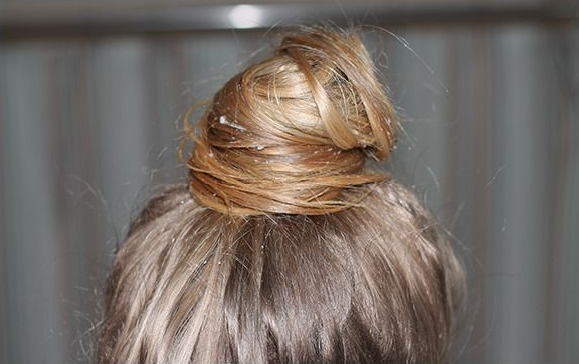 As a hair mask – coat hair in melted coconut oil, wrap it up and sleep on it. If you have naturally oily roots, just coat your hair lengths and leave the roots. In the morning wash your hair. You may find you need to do it twice. Style as usual. As a face cleanser – take some coconut oil and rub into your face as you would a regular cleanser. Sit with a warm damp face wash over your face for 10 minutes and rinse off. Do this at the end of the week to get rid of any leftover gunk. No need to moisturise, it’s a cleanser and moisturiser all-in-one! As a stretch mark cream – Being pregnant this is my favourite beauty trick for coconut oil. After showering and while skin is still damp, melt coconut oil between your palms and massage into your target areas. Pregnant ladies, pay particular attention to your chest, belly, lower back and tops of your thighs. I’ve found this oil works better than the last one I tried and it’s so much cheaper. It also absorbs into your skin better as it’s lighter than most mixed oils. As a body scrub – Mix melted coconut oil with coffee grounds and sugar. Rub into your skin as a great exfoliant. The coffee is also great at reducing cellulite and the coconut oil moisturises your skin at the same time. Money saving tip – if you have a coffee machine that uses coffee pods, dry out the used coffee grounds and mix those into the coconut oil and sugar mix. As a foot moisturiser – I often find that foot creams just aren’t think enough for the heels of feet. Mix melted coconut oil into your foot moisturiser or rub into heels before applying your cream on top.